Stanza. Intelligent Sheep: Baa Ram Ewe…to your clan be true. Music for sheep by sheep. Title: Music for Sheep By Sheep. Intelligent Sheep: Baa Ram Ewe…to your clan be true. Performing sheep that makes music about the environment the live in. This is an interactive sound art performance and concert. The sheep are observers of their own space, in control of their own environment. In this artwork the sheep become the performers creating sounds of the location in real time. This artwork uses local environmental data collected using ad hoc wireless networked devices which are attached to the sheep for environmental data monitoring. The dozen sheep collect and send data about the environment and respond to the space as a collective as they move about. • The sounds you hear and experience from the artwork are the sounds of the changing environment as experienced by the sheep. • The changes in noise levels, light, temperature, pressure in the environment are turned into a real time sound stream using dozens of wireless sensors. • The sensors interpret the micro-data of the interactive space. • A custom made speaker system which is wireless and powered by batteries and solar panels presents the sounds. 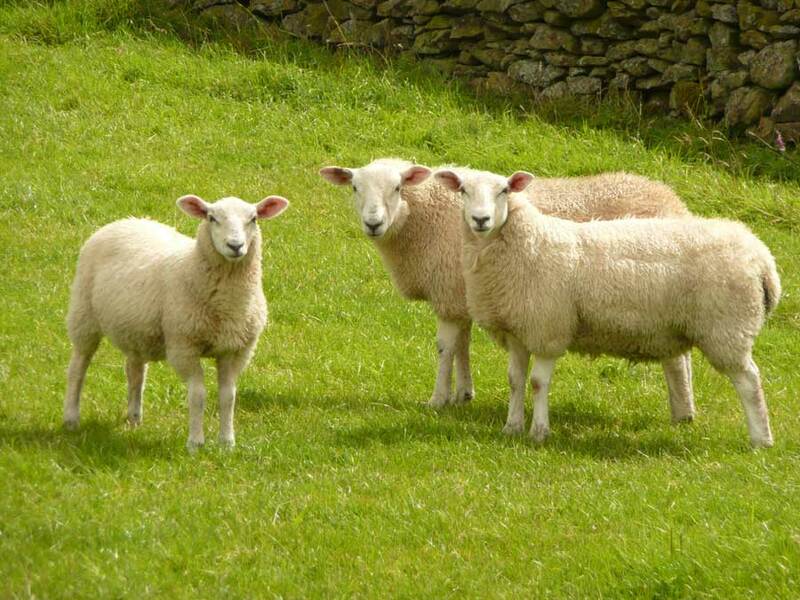 • The output from the sensor network display the "emotional" state of the sheep environment. • By embedding the sensors like this we can re-engage with the fabric of space itself and enable new artistic metaphors within the environment. The sheep carry a network of wireless sensors which measure, in real time, the environmental conditions - light, temperature, humidity, and GPS location. The sheep transmit data to a local decentralised system and to various internet applications for interpretation, visualisation and sonic analysis. These establish a radio frequency communication network, satellite internet and GPS to do this. As a consequence, they intervene with the environment and act as agents for change in the space. The sheep are communicating with each other using the motes sensor network, which sends readings to a gateway. This is then interpreted online and offline via XML data feeds and connects the location, the physical space and environment, with the virtual space, the internet. By sharing the data, the sheep create a network of knowledge exchange. Each sheep is a node that transmits and receives sensed data and this is made into sounds and visual experiences ie the artworks. Using wireless motes sensors and 420 sensors with GPS attached to the sheep. 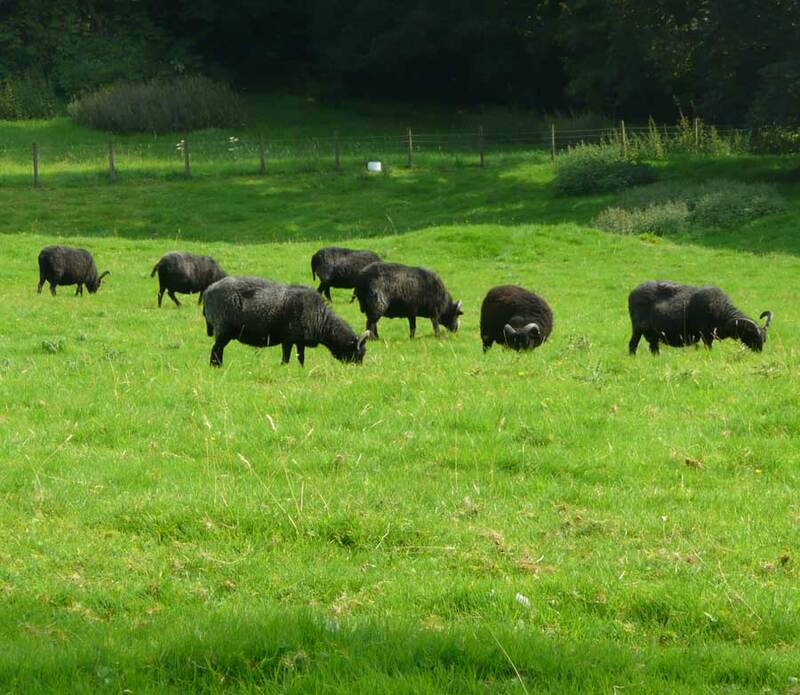 The movements of sheep in a field create a sounds cape in real time. The concert last 30 minutes in length. Output onto speakers as a sound streams of the changing conditions in the field. We then equip the sheep for gathering information about the space around us they create the live real time artwork as they move about. Twelve sheep. The farmers. Sheep dogs. • This is a live event and spectacle for the local communities and to attract tourists. • Local film makers will make a film and the audience are all invited to bring sheep. • In this artwork the sheep become the performers creating sound and visuals of the location. • Results and documentation will also be displayed online and can be used for further exhibition. • This is a challenging project which is rich in artistic metaphor with contexts which are varied. These include:- privacy, surveillance, control space, and ownership of data. The artwork also comments on the environment questioning the relationship of the moving “body” of society. 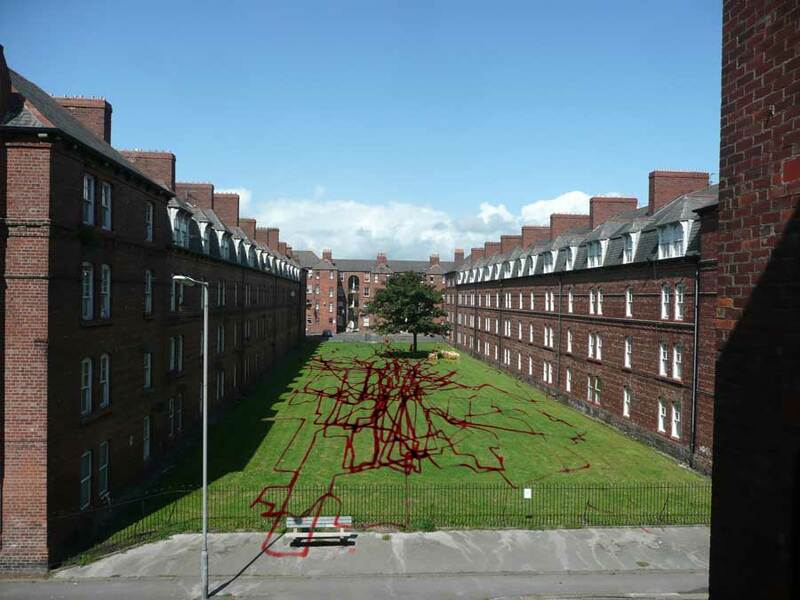 • It is an experimental artwork which has led out of previous research and development from Stanza's research into GPS since 2004 and his AHRC creative fellowship with Goldsmiths digital studios. • The artwork involves local people and visiting tourism, a unique setting and experimental networked devices which communicate over GPS to make art. The project is truly revolutionary in its use of a custom made GPS tracking systems. As such this also becomes a test for a whole series of other uses for this technology. ie live real time performances with any performance group in hard to reach rural settings. • In developing this project further we as seeking to push our visions for cultural diaspora across networks and to new audiences. This proposal is open source data and it is delivered across networks. It challenges new ground as a performative event. • This will impact on more challenging projects involving cutting edge technologies and delivering unique and memorable audience experiences that resonate culturally well into the future. • At the event a local team of young film makers will be given the task to make a film. Local farmers will be involved and the production crew will be sourced in locally or from sources guided by the commissioning team. • There are other possible outcomes extending the uses of data culturally and making artistic metaphors from concerns currently topical in the debate concerning environmental change - locally, nationally & globally. Sensor system, Data Processing and radio frequency transmission motes and sensors board, Data Sonification sound system, data visualization system, GPS system, and optional video, transmission. They can establish an autonomous node network with an implementation. Output below: include experiments environmental processes; exhibit and implementation in site; and documentation of the work. The system I have made can run on a local server and also on a online real time server via custom JAVA mote proxy reader server that presents all data via xml files. This is transmitted on a main host computer gateway and transmits the obtained data to the operating system of the main mobile computer which can the do the visualisation and Sonification. All technology is in place. 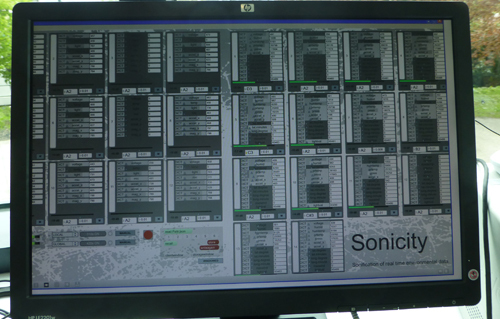 The sonification software includes atonal note customization with harmonic variation for the whole system. It features mixing consoles for each independent environmental data set all working in real time and a record feature. Additional mixers in the software also allow all the sensors to be mixed and cross mediated enabling on to compose music based on the space. The software enables light, temp, noise, humidity, GPS to all be mixed separately across the whole system if required. 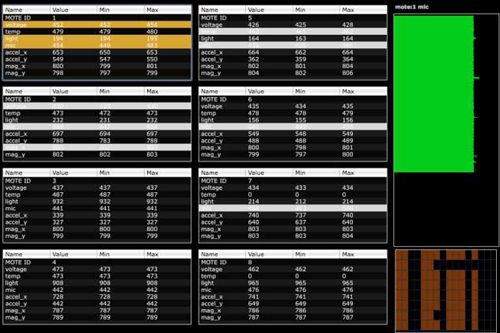 In summary the XML live feeds (the incoming data) is turned in music. Basically one can compose music based on the environment the sensors are sited. The software enables light, temp, noise, humidity, GPS to all be mixed separately across the whole system if required. In summary the XML live feeds (the incoming data) is turned in music. Audio test from first prototype listen here. Data set from trials view here. Working from our own experience and along with Arts Council England guidelines we commence evaluation from the out set of the project. We work closely with the client to ensure all levels and sets of plans are considered for the best outcomes of the project. We always seek approval for our recommendations and consider at all times our responsibilities and commitments. During delivery of the project, public engagement is a core task and we have experience of responding to its inherent challenges. A website of the project will be made public and promoted - which in turn will be linked to online presence of all partners and so cial media. Due to the projects experimental nature, a core measure of artistic success will be response to it in the press and online. The project marketing plan will be developed with a national & local campaign plans. We intend to engage the local communities to source participants and perfect venue space. To do this we will explore existing relationships with groups such as Cumbrian organisation - www.octopuscollective.org - and other contacts made whilst the artist was resident artist at the now closed Lanternhouse in Ulverston. We expand the research wider from these points. The nature of the project - as its both humorous & credible - will generate a buzz and word of mouth enthusiasm. Local press & media outlets will cover this also due to its fun, headline potential. We have strong contacts in the national media, both mainstream and specialist and the project title alone will attract attention from leading programmes such as The Culture Show (BBC TV) & Front Row (BBCR4). Stanza is interested in the patterns we leave behind as well real time networked events that can be re-imagined and sourced for information. Stanza uses multiple new technologies to create distances between real time multi point perspectives that emphasis a new visual space. The purpose of this is to communicate feelings and emotions that we encounter daily which impact on our lives and which are outside our control. Work has centered on the idea of the city as a display system and various projects have been made using live data, the use of live data inarchitectural space, and how it can be made into meaningful representations. These artworks reform the data, work with the idea of bringing data from outside into the inside, and then present it back out again in open ended systems where the public is often engaged in or directly embedded in the artwork. Interactive and visually appealing, his style also maintains the substantive power through multi-facetted content. Disclaimer All rights reserved. The copyright for any material published on this website is reserved. Any duplication or use of objects such as images, diagrams and texts is not permitted without Stanza's written agreement. 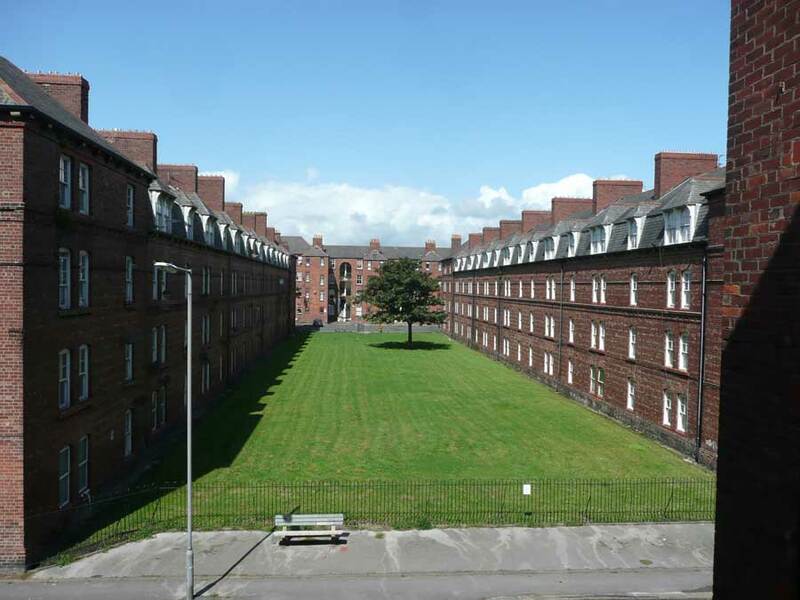 The location site shown is in Barrow Island, Barrow In Furness, North England. 2010 Test with GPS mapped over location. As sheep move around music is made.